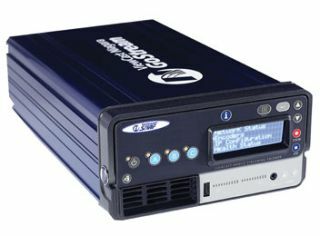 ViewCast introduces their Niagara GoStream SURF -- a portable streaming media encoding appliance available. It's the newest in the Niagara encoder product line, all of which are powered by ViewCast Corporation's Osprey video capture technology. This encoder is the smallest, lightest and most powerful system in the Niagara GoStream portable encoder family. With this appliance, users can capture video to send multiple full-resolution streams to PCs and mobile devices in multiple formats at multiple bit rates -- all simultaneously. This gives users the flexibility to stream content from a controlled studio environment or an off-site location to capture live events or up-to-the-minute news. By taking advantage of the power and flexibility of the portable Niagara GoStream SURF, users shoot on location or in the studio and have access to live audiences, delivering video content in the most desired viewing formats, including MPEG-4, Adobe Flash Live, Microsoft Windows Media, RealVideo and uncompressed AVI. The intelligent and simplified design of the Niagara GoStream SURF makes streaming professional-grade rich media a simple, effortless process. Therefore, it's ideal for many types of organizations and applications, such as broadcasters for remote news, events and sports; business enterprises for webcasting and podcasting; government agencies for streaming of open meetings; and schools and universities for reaching students and alumni through the Internet.